KARACHI: The State Bank on Friday kept its policy rate unchanged at 10 per cent for the next two months, after sensing the situation as relatively stable, with a moderate inflationary trend. However, the monetary policy announced carried some serious concerns over government borrowing from the central bank, possible shortfall in tax revenues, recurrence of energy sector circular debt, and delays in budgeted foreign inflows. 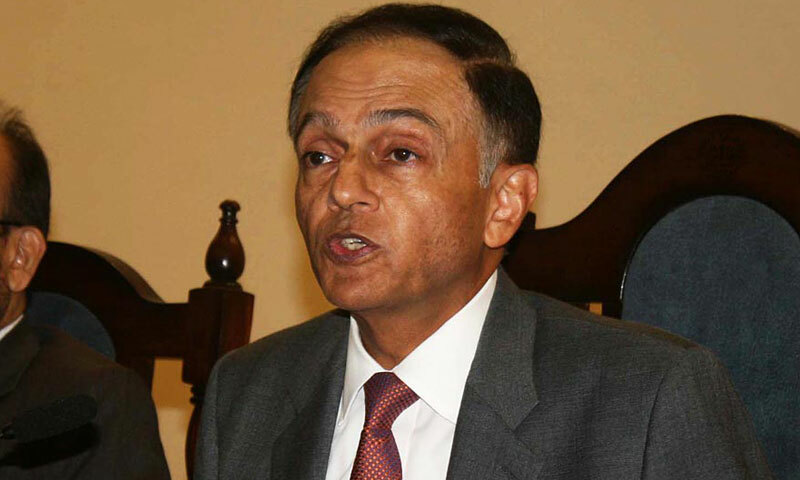 Unveiling the policy at a press conference, State Bank Governor Yaseen Anwar said the moderate risk of demand-driven inflation with low international commodity prices has neutralised to some extent the direct impact of exchange rate volatility on CPI inflation. The SBP expects average CPI inflation for FY14 to fall between 10 to 11pc, which would be higher than the target of 8pc. He said considerable financial inflows are expected during the second half of fiscal year 2014 which includes overdue proceeds from the privatisation of PTCL, floatation of euro bonds in the international market, and additional flows from bilateral and multilateral sources under the new IMF programme. He said net financing received from the IMF during the first half of fiscal year 2014 was negative $925.2 million despite receiving $1101m under the new IMF programme. �There is no room for complacency and considerable effort is required to bring a sustainable improvement in the outlook of external accounts,� said the SBP Governor. He said significant tax, expenditure and debt management reforms are required. During the first five months of the current fiscal year, private businesses have borrowed Rs161bn, of which Rs38bn is for fixed investment, compared to Rs16bn in the corresponding period of last year. Substantial credit uptake by sectors, such as textiles, electricity, gas, and water and commerce and trade has been observed. In reply to a question, he said the State Bank has been working with the stock market people on the plan to launch treasury bills, bonds and sukuk for the trading. He said by the end of this month trading of t-bills will be finalised. The government had announced to sell t-bills, PIBs and Sukuk in the equity market. In reply to another question, he revealed that the currency swap agreement with China was a great help to meet the challenge of serious shortage of foreign exchange reserves. The governor, who himself negotiated and finalised agreement with China, said at the crucial moment of low reserves, the currency swap was utilised up to $1.5bn, which was the highest limit. He said more swap agreements are being negotiated with several countries. The governor also said the foreign banks were interested to come in Pakistan while few banks have approached to invest in the banking industry of the country.